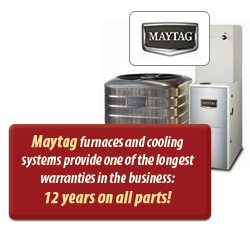 If your heating or cooling equipment is more than 12 years old, you’re probably spending more money than necessary to stay comfortable. A new high-efficiency system will use far less energy, reducing your bills year-round. Contact us for information on these savings opportunities. Our rebate experts will help you file the necessary paperwork so you can save a lot of money on your purchase.